December is National Drunk and Drugged Driving month. Remember to use a designated driver to get home safely. If you are under 21 years of age, do not drink alcoholic beverages. Possessing and/or consuming an illegal drug in South Dakota is illegal. If you are legally taking prescription medication, read the safety label. Side effects of prescription medication can often impair an individual. Driving a motor vehicle while impaired is illegal in South Dakota. Christmas is just around the corner and that means an increase in holiday traffic. It is easy to get distracted thinking about the errands you have to run, which gifts to buy, and holiday travel plans. 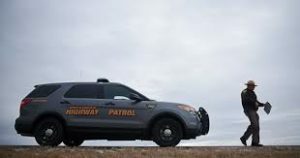 Your safety is the South Dakota Highway Patrol’s top priority as well as my priority. I ask that you focus on the priorities at hand. If you are driving, then pay attention to the road. Weather changes, reduced daylight hours, snow, freezing rain, blizzards, and animals coming onto the roadway are things to be aware of. Try to refrain from using your cell phone while you are driving. Driving with snow or frost covering your windows is a violation of the law. Take the time to clear all of your vehicle’s windows of the morning frost for optimal visibility. Take the time to think about and plan for the upcoming holidays. For those of you traveling over the holidays, take a moment to check the weather forecast before departing on a trip. Be prepared for roadside emergencies such as a fully inflated spare tire and tire changing tools, food, water, warm clothes, and a blanket. Remember to bring your cell phone and charger. You do not want to be a stranded motorist without the proper equipment. Use equipment such as seatbelts and child safety seats properly. Ensure you and your family arrives at your destination safely. I wish everyone a safe and Merry Christmas. Take the time to enjoy life, family, and friends. Be Smart. Be Safe. Stay Alive.